22mm of hail and rain fell on Wyndford = Husky heaven!! 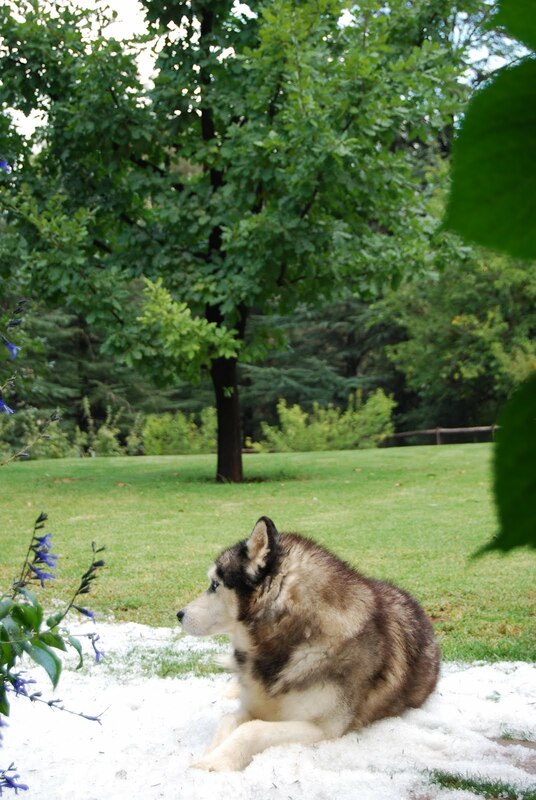 All the hail ended in a pile which made a wonderful bed for Dodge - who spent a happy hour making 'snow angels'! Interestingly enough neither of our neighbouring farms had any rain.. Anyone who remembers the melted candle picture.. they were put to use this week by turning them upside down, a bit drippy but worked nonetheless! Most beautiful day here today, crisp blue skies and a cocophany of birdsong. Enjoy your day!